I am so excited to be a part of October's book box collaboration. Beth, Ludavia, Tara & Ashley are so creative and have some amazing ideas to go along with the story as well! This month, they have chosen Room On The Broom, by Julia Donaldson and Axel Scheffler. I will link the other four blogs at the end of this post for you to check out as well! First, we did a little art project to go along with our story. 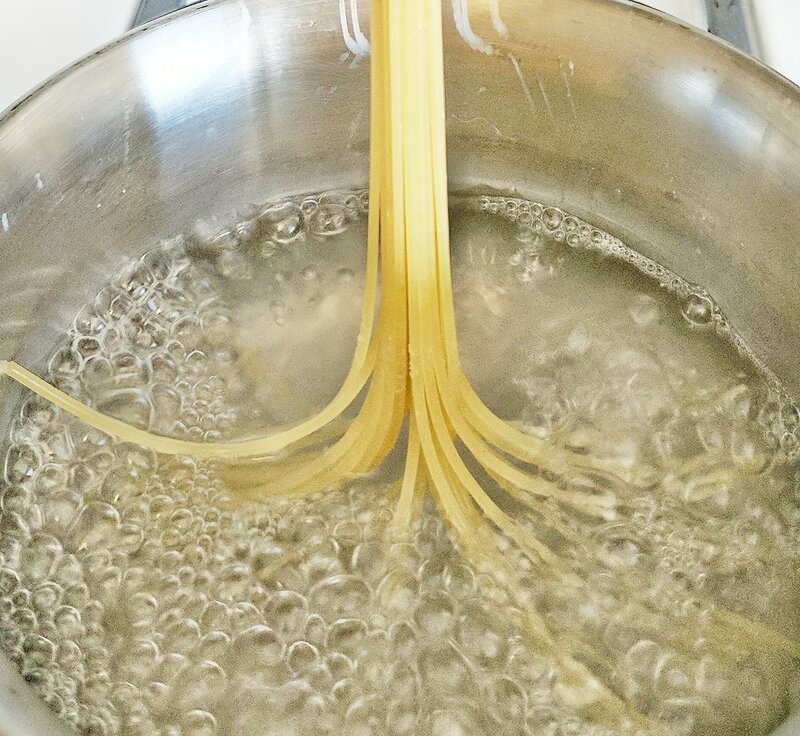 I boiled two bunches of spaghetti to look like brooms. I simply bound 3/4's of the bundle and held it in the pot while the lower section cooked. It took less than a minute for the ends to begin to resemble a broom. 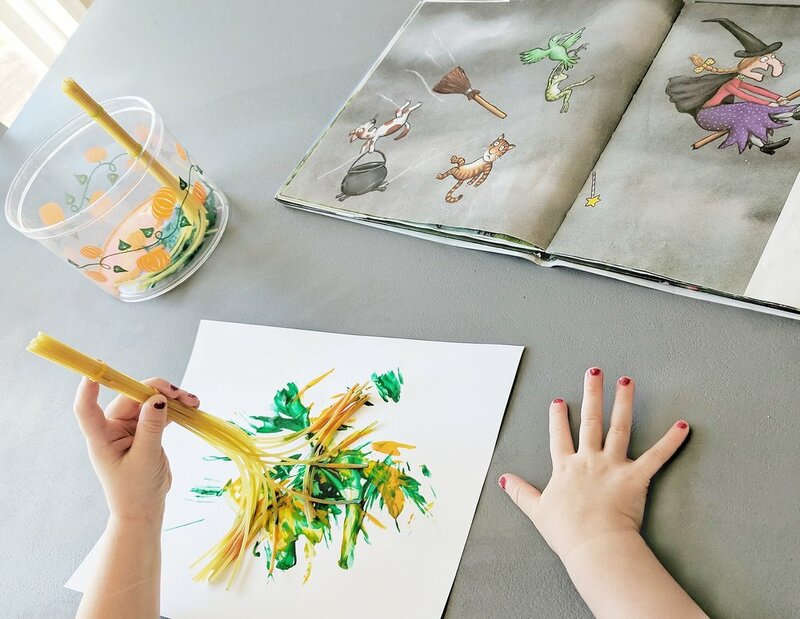 An easy way to work on story recall for toddlers is with a character sequencing activity. Even if you are completing the activity with the help of the pages in the book, you are still working on recalling facts, in the correct order. This may even lead into summarizing the story as well! I kept things easy, using only the animals that were adding to the broom one at a time. You can print this packet, cut and glue the characters to clothespins and use a popsicle stick as a broom! I hot-glued some pieces of spaghetti to the end on the stick to make it look more like a broom. Just click the image above to download the printable! As you read with your child, have them find each character and clip them in order! Below, I will share the four other blogs that you can check out for more Room On The Broom activities!